Add this necklace to your collection! 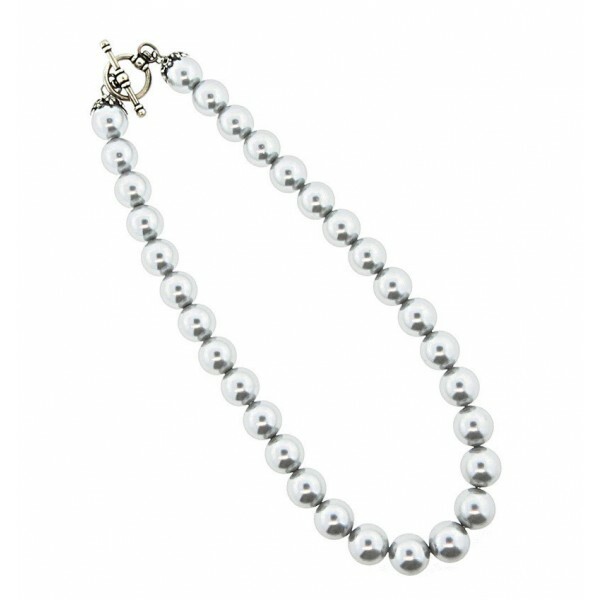 Luscious Swarovski 12mm Pearl necklace in silver and antique silver accents. 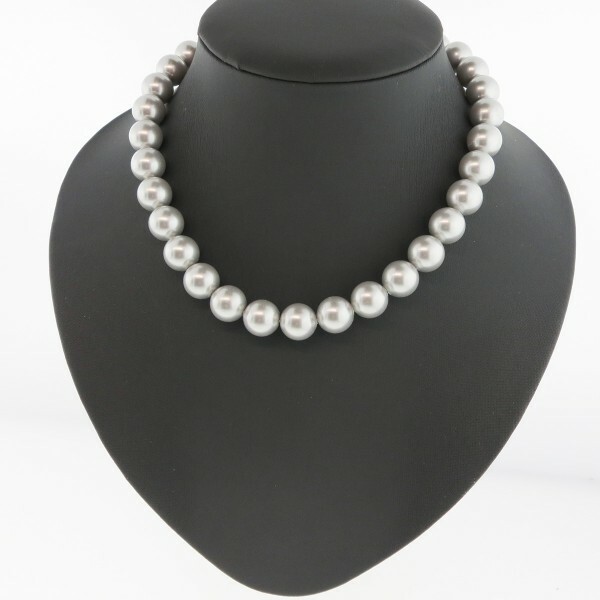 The necklace measures 410mm.